A sound defeat turned into a route when the Cowboys scored 10 runs in the eighth inning. The Cowboys sit in second place in the Big 12 standings after a series loss to the Jayhawks. The Longhorns controlled the ball game from start to finish to defeat the visiting Cardinals. The Horns dropped out of the Top 25 this week, but get a home game before heading on the road to Stillwater. Head coach David Pierce promised changes after a disappointing series loss to the last-place team in the Big 12. Blair Henley fired seven innings of one-run baseball, retiring seven Wildcats via the strikeout. The Longhorns will look to improve on their current Big 12 standing against the last place Wildcats. Ty Madden bounced back from recent struggles and the bullpen closed the door on the Owls. The Horns are looking to win a midweek game for the first time in three weeks. The Longhorns poured six quick runs on the Bears before rain overtook Baylor Ballpark. Despite Blair Henley giving up five early runs to Baylor, the Horns scored eight unanswered runs to even up the series. The Longhorns open an important Big 12 road series with an unfortunate ninth inning collapse. The Horns make the trip up I-35 in an effort to knock the Bears from the top of the conference standings. Another highly-ranked SEC foe visits, this time renewing A&M’s longest-running rivalry. The Longhorns continue to prove you just can’t ever count them out. Shaka haters need to chill. Despite some late inning drama, the Horns managed to score just enough to take the series victory. The Longhorns completed a comeback victory for the 11th time this season thanks to three runs in the 12th inning. After winning only five of the last 13 games, the Longhorns finally see a break in the weekend schedule as the Musketeers come to Austin. The lifeless Longhorns only mustered up four hits in their fourth loss in their last six games. The Longhorns dropped four spots in the latest D1Baseball poll. The back-and-forth affair didn’t end well for the Horns despite leading for most of the ball game. The Longhorns were led by yet another strong performance from Blair Henley and a plethora of big hits. The Horned Frogs are riding a four-game winning streak and boast the Big 12’s best batting average. The Horns were down four runs after the top of the second inning, but kept grinding at the plate and on the mound to end a five-game losing streak against the Hogs. 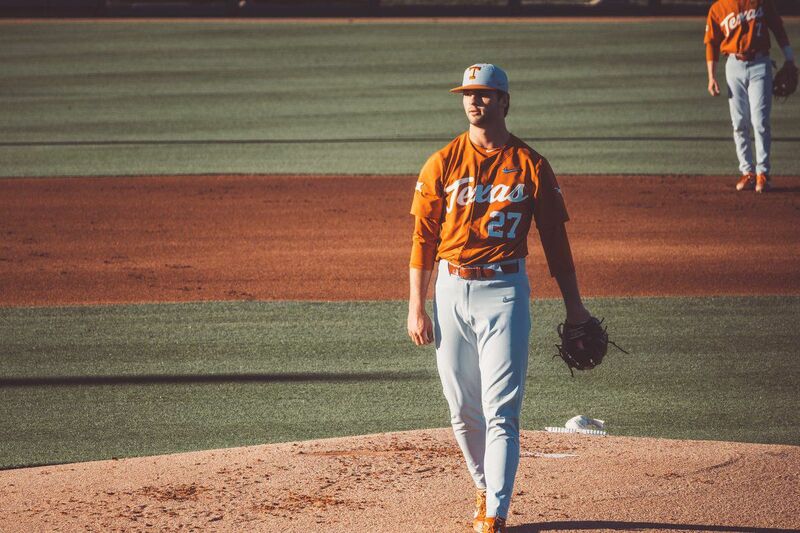 Using seven pitchers against the Red Raiders on Sunday came back to hurt the Longhorns against an old Southwest Conference rival. The Longhorns jumped out to a good start in conference play after their weekend series victory over Texas Tech. 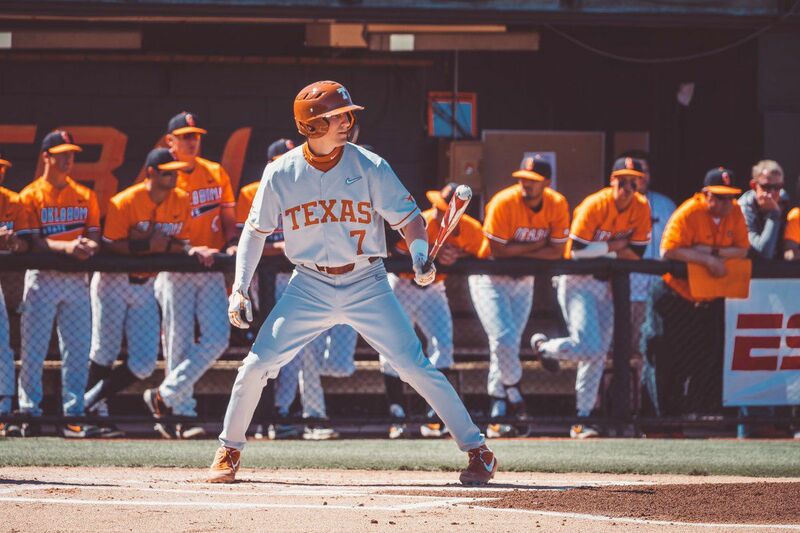 Taking the rubber match against the preseason conference favorite could be big for the Horns when the postseason arrives. Despite a solid performance from Blair Henley, the offense fell flat, failing to gain any momentum in the shutout. Texas scored four unanswered runs and rode three shutout, no-hit innings from Kamron Fields to open conference play with a win.